The absurd concept of Telltale’s The Wolf Among Us makes it a hard sell. After all, the desire to follow a noire thriller starring The Big Bad Wolf as he tracks down a serial killer in a town full of fairy tale characters requires a cross section of a lot of niche interests. Despite the odd mix of materials, Telltale manages to stitch up a quality tale in the first episode, and for the most part, the company does it again in episode 2, although the seams are starting to look a little frayed. 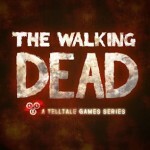 Narratively, Smoke & Mirrors lives up to Telltale’s ridiculously high standards. The plot of this installment follows a strict no meandering rule. 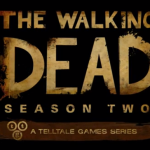 The writers throw away plot points like a canceled TV show, and no major interaction ends without at least one big reveal, which includes wrapping up one of the biggest mysteries from the first episode before the opening sequence of the DLC. A story moving this fast risks becoming too chaotic to become invested in, but Telltale holds it together and keeps it interesting. The noire setting of The Wolf Among Us continues strong throughout this part of the adventure. Most noire stories succeed on uneasiness, an uneasiness born from having to confront the darkness better left ignored. Bigby Wolf makes a fantastic noire protagonist. The constant teasing of the Big Bad Wolf inside him only heightens the atmosphere. This episode takes Bigby even closer to the edge, hinting that other Fables should be more scared of the darkness inside the sheriff than the darkness he’s investigating. It’s a good story. 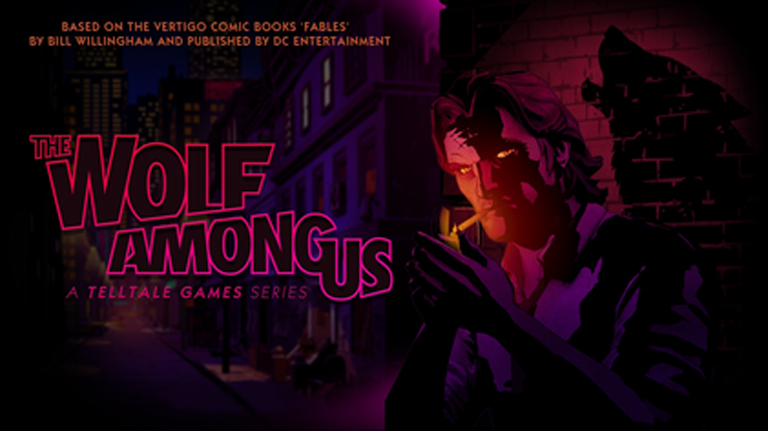 Graphically, the cel-shaded models in The Wolf Among Us can’t compete visually with the likes of other narrative-heavy games such as The Last of Us. However, the characters never fail to evoke emotion. Both the humanoid Fables and the animal-looking ones feel real, and they respond to events with a sincerity that many more graphically endowed characters can’t manage. The flawless execution of faces such as Bigby’s pained stare as he struggles with his vicious nature keeps the characters alive and the story moving. Of course, it helps that the characters have some of the best dialogue in any medium to back up their expressions. Even the most mundane pieces of the game are ridiculously intriguing thanks to the conversations. One of the best moments in Smoke & Mirrors happens in an uneventful car ride. The Big Bad Wolf and Ichabod Crane sit in a car (which sounds like the setup to a bad joke) discussing the murder of a Fable when Ichabod says, “Our stories used to be so simple. We had a beginning, a middle, and an end…” It’s a simple moment, but it’s delivered, visually and verbally, with conviction, and it has tremendous impact. Despite focusing so heavily on crafting a coherent story, Telltale once again delivers on the choose-your-own-adventure part of the game. While time never stands still to let you ponder an obvious, game changing decision, the actions you take lead down different paths. There’s at least one fight whose appearance hinges entirely on player choices. 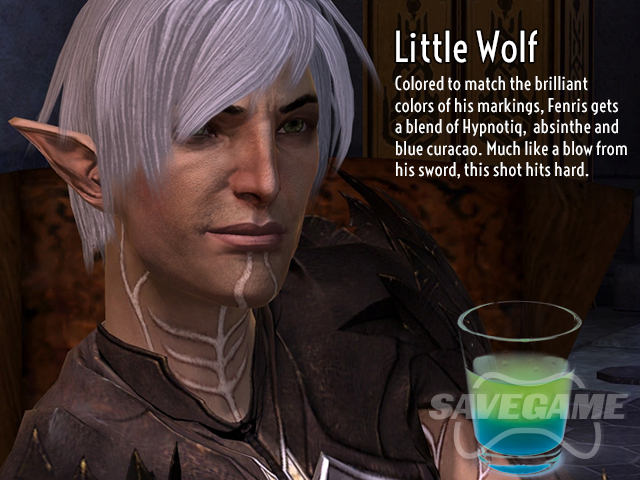 Also, since this is episode two, the consequences of decisions made in the first DLC surface. One section of the game changes drastically depending on a decision made at the end of Faith. Smoke & Mirrors does have a few problems, though. The game only lasts around an hour and a half, a short crawl even by DLC standards. Also, the story ends pretty abruptly, and the twist it ends on feels flat. The most glaring issue is that the animation on the “previously” and “next time” segments is blocky and moves out of sync with the audio. It’s not exactly game breaking, but it’s odd no one fixed this when so much of the game feels like the product of a lot of care and hard work. The second episode of Telltale’s journey into Bill Willingham’s Fables universe is a solid entry in a larger tale. It propels the plot forward, wrapping up a few mysteries from the first DLC while introducing new ones. Both the scope and stakes of the story escalate, and it feels like the player has significant control over how everything will eventually resolve. 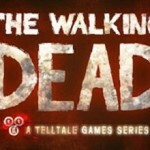 Those that enjoyed the first episode will enjoy this one, warts and all, and those waiting to see if this game can recapture the magic of The Walking Dead should be reassured–all clues point to yes.